So it’s India vs Bangladesh in the Asia Cup Final. Being neighbours India and Bangladesh has always shared a good relationship in all fields, however things are not the same now when we talk about cricket. Bangladesh team has been performing well in recent years and the team surely deserves the credit for the same. However it’s rightly said that “Some people can’t handle success” and the behavior of Bangladeshi fans has proven this right again. It all started when India visited Bangladesh last year and ended up being defeated by them. 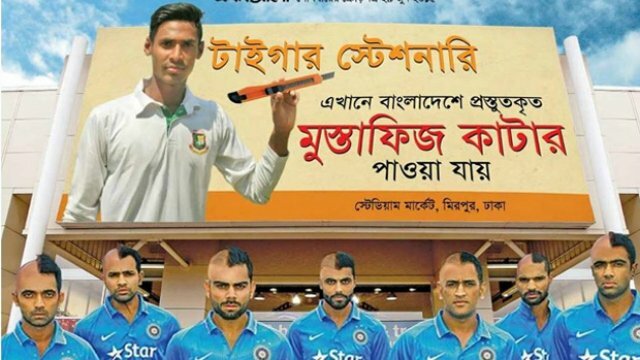 You can have a look at the poster (above) that was created when Bangladesh had defeated India last year. 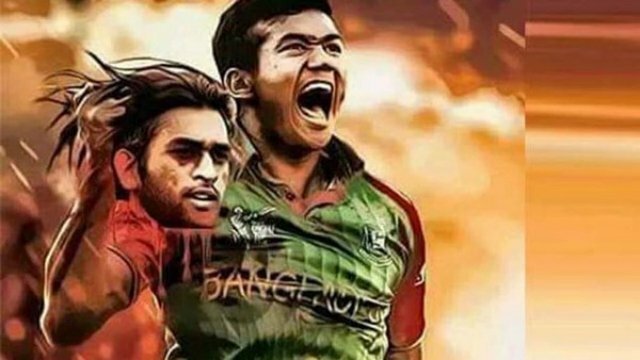 Recently there is a morphed image created by a Bangladeshi fan that has gone viral which shows Taskin Ahmed carrying the chopped head of our skipper MS Dhoni which was also a topic of discussion in the recent press conference. This images will get any cricket lover’s blood boiling in rage. India has won numerous trophies and has been the host for major cricket tournaments including IPLs. We have seen ups and downs in cricket from winning the World Cup to getting defeated by the lowest rank teams however there hasn’t been instances wherein the opponents have been insulted or the fans from other countries were mistreated in India. Its time now that Bangladesh has to learn the responsibilities of being a host. Their cricket Board should take some serious action in order to avoid such shameful acts in future because the match can be won only on the ground and not off it.